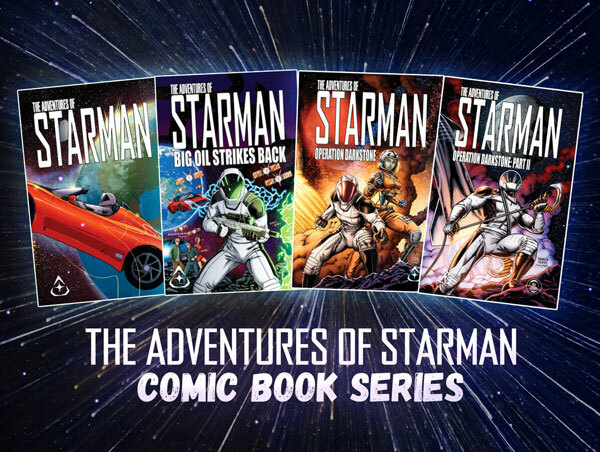 Where is Starman? Track Elon Musk's Tesla Roadster in Space! On February 6, 2018, at 2045 UTC, the first Falcon Heavy was launched into space. It contained a very special payload- a Tesla Roadster with Starman. But where is this vehicle? The current location is LOADING miles (LOADING km, LOADING AU) from Earth, moving toward Earth at a speed of LOADING mi/h (LOADING km/h, LOADING km/s). The car is LOADING miles (LOADING km, LOADING AU) from Mars, moving toward the planet at a speed of LOADING mi/h (LOADING km/h, LOADING km/s). The car is LOADING miles (LOADING km, LOADING AU) from the Sun, moving toward the star at a speed of LOADING mi/h (LOADING km/h, LOADING km/s). The car has exceeded its 36,000 mile warranty LOADING times while driving around the Sun, (LOADING miles, LOADING km, LOADING AU) moving at a speed of LOADING mi/h (LOADING km/h, LOADING km/s). The orbital period is about 557 days. It has achieved a fuel economy of LOADING miles per gallon (LOADING km/liter, LOADING liters/100 km), assuming 126,000 gallons of fuel. 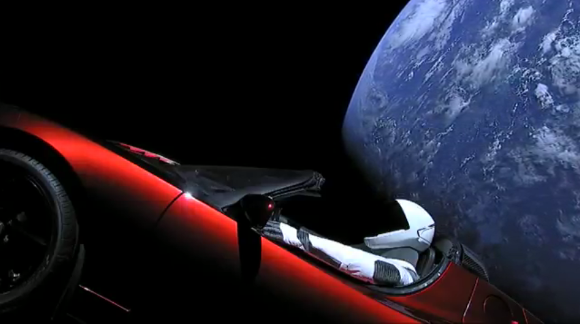 If the battery was still working, Starman has listened to Space Oddity LOADING times since he launched in one ear, and to Is there Life On Mars? LOADING times in his other ear. A telescope about LOADING ft (LOADING m) in diameter would be required to resolve the Upper stage from Earth. The vehicle has traveled far enough to drive all of the world’s roads LOADING times. It has been 0 since launch. Please note that this site is not in any way affiliated with Tesla, SpaceX, or Elon Musk. I’m just this guy, you know?